Irrefutable proof that, at least in this circumstance, one can indeed teach an old dog new tricks. Provided of course that the dog is none other than the immaculate Bard, and the teacher, Academy Award nominee Ralph Fiennes, something that has worn and withered with time, can be new once again. Given, the fact this duo isn’t easy to unite makes “Coriolanus” all the much more of a spectacular achievement. Blending the subtle dialogue and intellectuality of its source material with heart-pounding action sequences and visceral performances. “Coriolanus” is an all-around dramatic-thriller and an honest adaptation of a rather under-appreciated and controversial work from Shakespeare. The directorial debut of the aforementioned Ralph Fiennes, who also stars in the title role. “Coriolanus” is a masterful inception for Fiennes, who has an experienced and vastly talented cast to assist in his transition. In modern-day Rome, riots are in progress during an on-going conflict with the neighbouring city Volsci. Caius Martius (Fiennes) is a Roman general whom the people blame for the city’s problems. Martius has a rather low-opinion of regular citizens and the population does not take kindly to his behaviour. After gathering reinforcements when most of his unit had been killed in an attempt to siege the Volscian city of Corioles, Martius manages to conquer the city. Upon inflicting serious wounds to his mortal enemy Aufidius (Butler), Martius and his crew return home. Soon, Martius easily wins the Roman Senate, but a few are weary of his recent plunge into politics, thinking he will seize all power for himself. Upon convincing the city to ban Martius, Caius takes up arms with his mortal enemy and swears revenge against his home. Although the film’s light, albeit deliberate pace becomes somewhat of a distraction, this minor fault is easily disparaged. It isn’t so much that the film itself is slow moving, it’s the distance between scenes of significance and importance that’s discouraging. Which is a common complaint of the source material and should not be directly attributed to a lack of experience or talent behind the camera on behalf of Ralph Fiennes. While it is relatively difficult to modernize a play, Fiennes handles it with precision, depth, and swiftness. 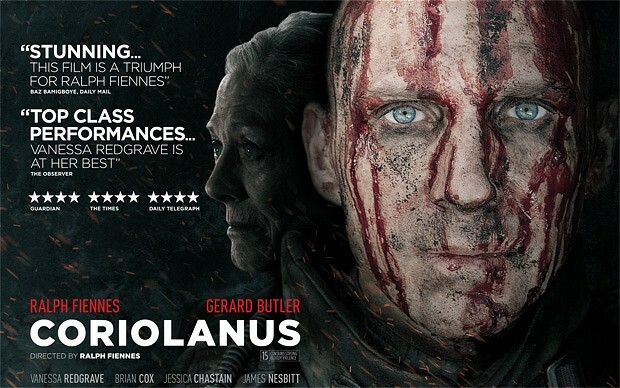 What ultimately makes “Coriolanus” so utterly appealing is its visually striking nature and unfathomably powerful performances, that alone make the film worth the watch. However, if you’re one of those people who cannot stand Shakespearean language, steer clear of “Coriolanus.” While the content and characters may have been brought up to speed in this current adaption, the dialogue remains untouched. The imagery, violence, and historical significance is good and all. Yet, what really sets “Coriolanus” apart is its incredible cast and their entrancing and astoundingly powerful performances. 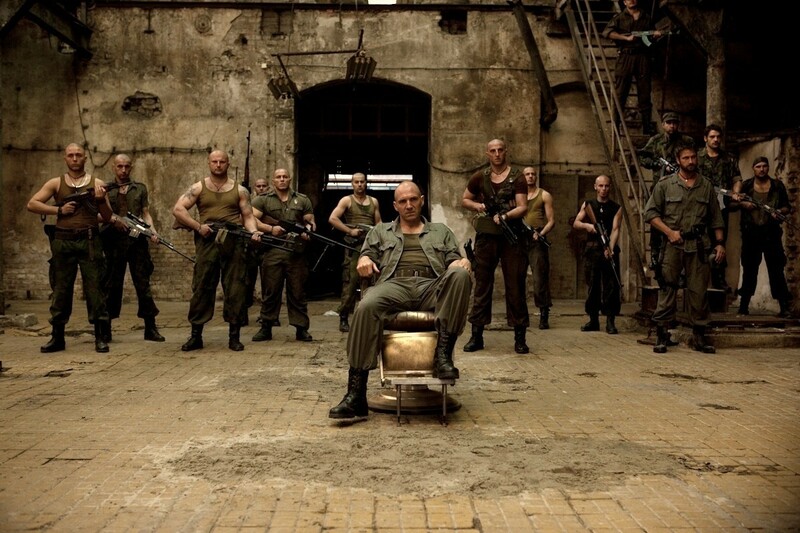 “Coriolanus” stars Vanessa Redgrave, Jessica Chastain, Brian Cox, Gerard Butler, and of course, Ralph Fiennes. Redgrave and Cox, two hugely underrated and underused performers, do their best to steal the show from Fiennes, but predictably fail. Make no mistake, this is not an insult, rather praise and kudos to the strength and persistence of their performances. Butler, who until this film tread disappointing waters, has seemingly surfaced and evidently makes a strong case for his revival, doing a respectable job opposite of Fiennes. Chastain is as radiant, mesmerizing, and stern as ever. Bursting forth with a heartbreaking and angst filled take on the firmly willed wife of Coriolanus. As for Fiennes, what can one say? He is as exuberant, intimidating, and seductive as ever. Which is all the more amazing considering he is pulling double duty. Essentially, what you end up with is a pure and fresh take on a text with immense historical significance. Performed with monstrous respect and power, containing sequences exploding with nerve-tingling action, and an atmosphere so thick it chokes you up. “Coriolanus” is a must see for Shakespeare fans, performance enthusiasts, and die-hard cinephiles everywhere. 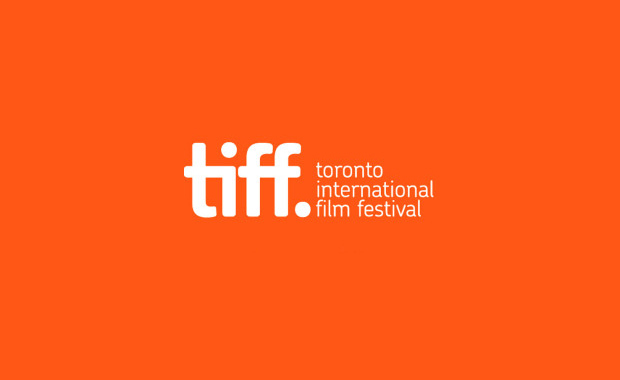 On a personal side-note, the first time I saw this film was at TIFF, its North American debut. Fiennes, Cox, Chastain, Redgrave, and Butler were in attendance and it was bewildering. I’ve rarely ever been star-struck, but seeing this cast in person knocked me off my feet. I literally stood right besides Ralph Fiennes, I did my best not to cry with excitement. Coriolanus: 8 out of 10. A harrowing, instant classic that, without any doubt, blossoms into legend. 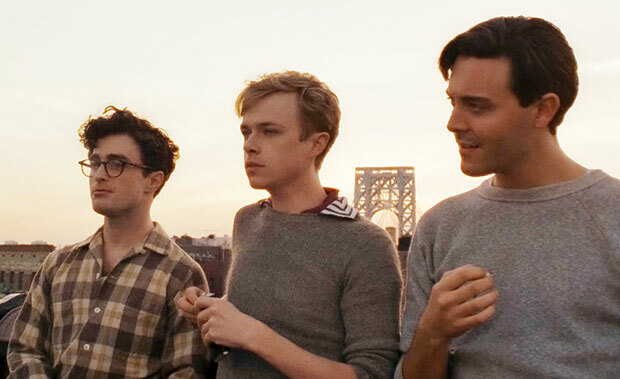 Mud is a charming, captivating, irresistible coming-of-age yarn that transcends and disarms. Rich with dynamic visuals, a sweet, at times cunning script, and superlative performances from its entire cast. Mud is comprised upon an endless source of infallibility and revered assets. 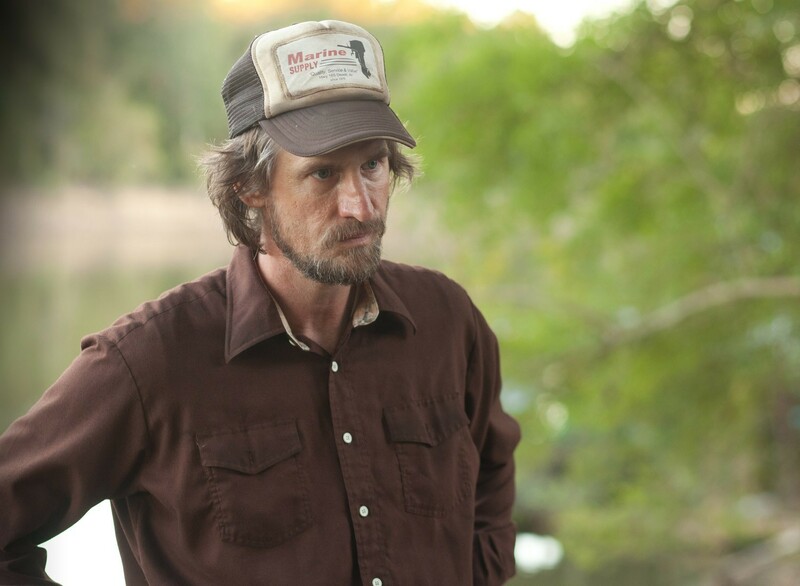 Filmed entirely in the state of Arkansas, rooted along the Mississippi River and its tangents. Mud’s locations are a breathtaking backdrop evoking a sense of wonder and serenity. Written and directed by up-and-comer Jeff Nichols who continues his rise to fame with this, his third full length feature. The only thing more reliant than the unsurpassable portrayals and unmatched scenery throughout Mud is Nichols sturdy, visionary direction. Despite some heavy, dark subject matter and clinging to innocence for effectiveness, Mud never loses its way. Ellis (Sheridan) is 14 years old and lives in a houseboat on the banks of a river in Arkansas with his mother Mary Lee (Paulson) and father Senior (McKinnon). One morning, after he sneaks out past his parents, Ellis meets up with his best friend Neckbone (Lofland), who is also 14 and lives with his uncle Galen (Shannon). The boys set out to an island on the Mississippi river where Neckbone has discovered a boat stuck high in a tree, believed to have been put there by an extreme flood. Soon after climbing the tree and into the boat, they discover footprints and fresh food. Upon returning to their boat, figuring it best to leave before the inhabitant returns, they are surprised to see a rugged man fishing. The stranger, who is soon revealed to be named Mud (McConaughey), asks the boys for food in exchange for the boat in the tree. As time passes, the three become close friends and begin to trust one another. This is when Mud and the boys enter into an agreement that will change their lives forever. Filled with the vibrancy and uncertainty of life and youth. Nichols honest take on the struggles of growing up is both refreshing and astoundingly accurate. Managing to convey the hardships and vulnerability that comes with being young and wide-eyed. Mud places the world at your feet, just to render you helpless when you reach out to grasp it. To accomplish this feat while simultaneously leaving the viewer content and without being overly sappy is stupefying. Yet, the theme most prominent and riveting in Mud deals with the emotion that leaves us confounded and in a daze, love. Stating that regardless of age, we always succumb to the idea of love and will always stumble over and sacrifice ourselves and one another for a taste of it. 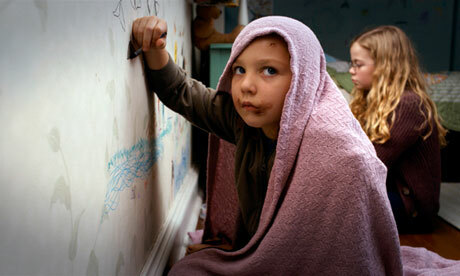 Mud is undeniably one of the best films of 2013 and will undoubtedly stand the test of time. With a plethora of symbolism, lyricism, and dynamism, it’s easy to get caught up in the ripples of Mud and lose sight of its heart…If you can keep track of each, individual storyline strand, Mud has so much more to behold. For instance, the forests and rivers ingeniously resemble the appeasing exteriors of Mud’s characters. And like these peaceful settings and docile people, there are unforeseen dangers that lie beyond them. Just a quick note on Mud’s tranquil soundtrack which is composed by David Wingo, who also wrote the score for Nichols 2011 hit, Take Shelter. Wingo’s ability to match Nichols ideals with music is unparalleled and I’m overjoyed that the two continue to work with one another. Even though Mud might not be as psychologically exhausting as Take Shelter or disconcertingly ferocious as Shotgun Stories, it is certainly just as visual and rewarding. Nichols continues to grow with each release and every single outing of his sheds a little more light into his bright, limitless future. The most reassuring and remarkable trait of Nichols films is that the newest chapter is stronger than the last. Nichols effortlessly and eloquently absorbs the natural and elemental beauty of Arkansas, the surrounding terrain, and vast skyline. There is no denying that Mud’s numerous, incredible performances and original script would be useless without Nichols keen, eccentric direction. Finding a pair of young, close-knitted, and talented leads is imperative to Mud’s success and Nichols found them in Jacob Lofland and Tye Sheridan. 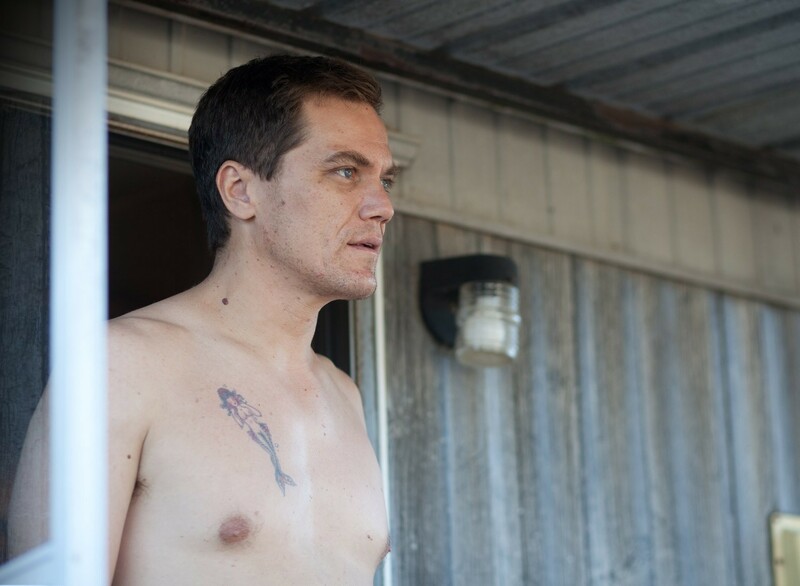 Mud again reunites Nichols with Michael Shannon, who stared in both of Nichols other films, Shotgun Stories and Take Shelter. Now, even though his role is certainly smaller than the duo’s previous collaborations, Shannon is equally as effective. Also starring Matthew McConaughey, Sarah Paulson, Ray McKinnon, Reese Witherspoon, and Sam Shepard. Mud’s ensemble easily gives one of the best collective efforts of the year. It is quite astonishing when an actor, let alone an ensemble breaks through the screen, allowing the viewer to discard the notion that what they’re watching is just a film, Mud has this effect. 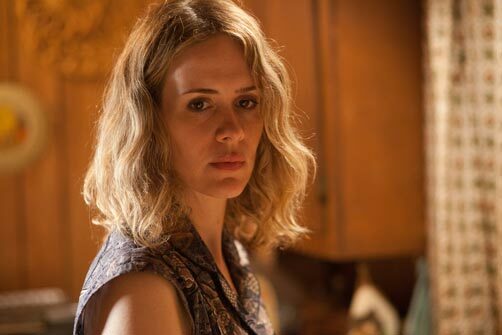 McKinnon and Paulson’s portrayal of a couple who’s marriage is on the rocks reaches a new level of believability. As they fight against the closing inevitability and try, relentlessly to keep their son stable regardless of their current circumstance causes a profound euphoria of respect to rush over the viewer. As for Shepard, who’s role is somewhat typical, is able to surpass its regularity with an unusually strong, aching performance. Witherspoon, who garners very little screen time, makes terrific use of her limited role. To be honest, I had very limited respect for Witherspoon as an actress, but after Mud, it has grown substantially. 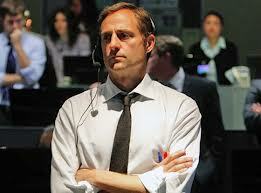 However memorable and powerful the supporting casts performances may be. 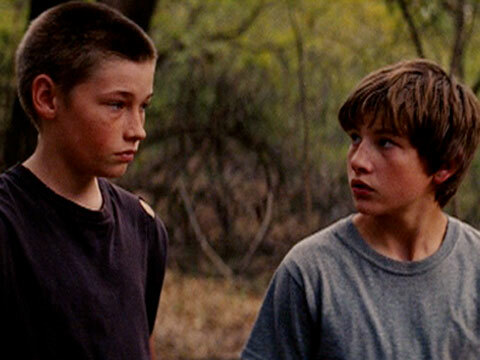 They are simply outdone by Mud’s three leads Jacob Lofland, Tye Sheridan, and Matthew McConaughey. As McConaughey’s stock continued to rise throughout 2011 with his roles in The Lincoln Lawyer and Bernie, it slowly became apparent that there was no stopping his rapid ascension. Following up another hit in Magic Mike with Mud, McConaughey seems to have finally found his muse. McConaughey is now gearing up for another high-profile role as he is set to star alongside Leonardo DiCaprio in Martin Scorsese’s The Wolf of Wall Street, ready for release late in 2013. There is now, no denying McConaughey’s brilliance as he recently signed on to tackle the lead in the magnificent Christopher Nolan’s next film Interstellar, which will also feature Jessica Chastain and Anne Hathaway. Thankfully, there seems to be no end in sight for the once discredited Matthew McConaughey. Lofland and Sheridan, who were ultimately hired because of their abilities on a boat, knowledge of the area, and the time it would save not having to teach these facets to two other young leads, undoubtedly earn their spots. With a combined age that doesn’t equal some of their co-stars time of acting experience, let alone years on this planet, Lofland and Sheridan prove they’re not intimidated by underestimation. Having performed in Terrence Malick’s, The Tree of Life, Sheridan continues on his path to a fortuitous career. As for Lofland, Mud is his first full length feature, but you wouldn’t know it from his calm and confident performance. Both flourish in this highly advantageous opportunity and look to have extremely bright futures. 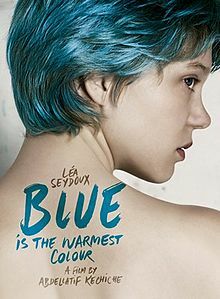 With its unyielding, heavenly toxic imagery, phenomenal performances, and spot-on portrayal of love, death, and youth. It may be a bit premature, but Mud has eked its way into my top 10 all time favourite films and I don’t see it falling out anytime soon. It is a must see for anyone, cinephile or not. Mud: 9.5 out of 10. Aside from a shaky final act. Mama benefits from its brilliant use of sentimentality and scraping gore in exchange for exhilarating thrills and unbearable tension. Leading its viewers on a chilling chase through a haunting fairytale, Mama is surprisingly heartfelt and loaded with dread. I suppose it shouldn’t come as a shock to anyone that Mama is a level above most of the trivial, uninspired entries into the horror/thriller genre. When Guillermo Del Toro lends his name to any film, he must see genuine merit. Although his track record should speak itself, needless to say, I trust him completely. 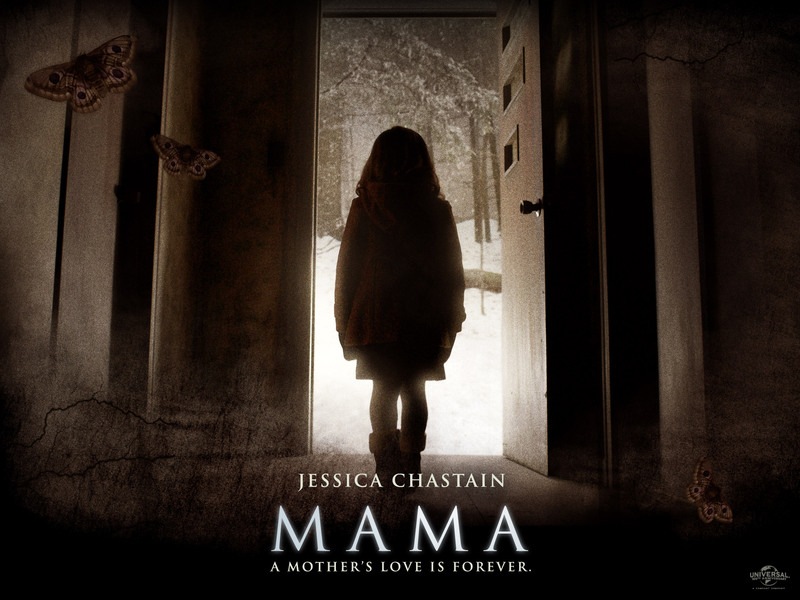 Mama features Oscar nominee Jessica Chastain and a pair of terrifyingly adorable children, as they face a supernatural provider. Even with a finale that appears rather contrived. Mama manages to pull it all together for an enjoyable ride filled with paced scares and that’s not entirely cold blooded. After a man kills several of his business partners and his estranged wife, he returns home to grab his kids and flee. When he speeds down a snowy road in the middle of a forest, the car slides off the road and into a tree. Upon finding a remote, deserted cabin, the man decides to take his own life as well as his kids. However, before he can pull the trigger he is murdered by a paranormal entity. 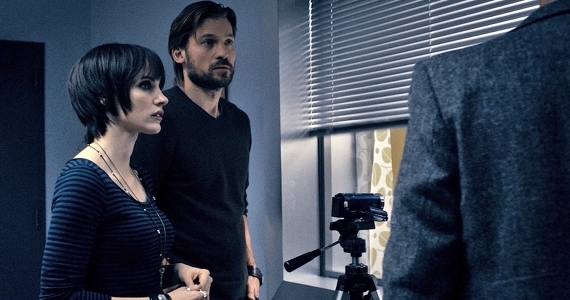 Five years later, Lucas (Nikolaj Coster-Waldau), the brother of the deceased murderer, and AnnaBel (Chastain) continue their search for the missing children. One day, they receive an alarming phone call that the search team they had hired found the kids. Although in deplorable conditions, the children are eventually able to return home with Lucas and Annabel. However, soon after the living arrangements are sorted out, strange events begin to take place. What seems to be a disconcerting trend occurring far too often with modern horror is the inability to concoct a suitable ending. While it is somewhat of a letdown that Mama can’t complete its abundantly unnerving and effective story with a more satisfying closing. It isn’t as abhorrently unpleasant or confusingly atrocious like some recent, unwatchable films. Following up a year in which saw her receive an Oscar nomination for The Help and deservedly earn another in Zero Dark Thirty. It seems a rather unusual choice for an actress of such a high caliber to take the lead in a paranormal horror. Nonetheless, Jessica Chastain doesn’t take anything for granted and continues her push for cinematic dominance in Mama. Besides the obvious change in outward appearance for the role. Chastain has an abrupt shift in her attitude in personality and guides it along very well. Watching her portray a woman struggle to earn parenthood while trying to keep her aspirations afloat will warm your bones. It may not live up to her more accomplished, respected roles, but it’s enough to showcase her talent once again and allow Chastain to explore her diversity. For actresses of such young ages and at relatively early stages in their respective careers. Isabelle Nelisse and Megan Charpentier are thrust into a terrifying film with horrid scenarios. Being able to stand their ground when faced against a monstrous entity, let alone the flawless Jessica Chastain is something to brag about. It’s gratifying to see that some film makers are taking notice of what’s happening beyond their own pane on other sides of the oceans. Mama infuses some of the more skin crawling elements of foreign horror films like A Tale of Two Sisters and Del Toro’s own The Devil’s Backbone. Not only does Mama pay homage to the truly unsettling facets of foreign horror, but also injects a staggering amount of emotion. Appearing to use them as some sort of muse. With a cast that performs outstandingly, terrifying scares, and a heartwarming core, Mama delivers on most of its promises. Mama: 7 out of 10. We might be a bit late to this particular list’s party, but better now than never. This was a difficult list to compile, lots of great pictures to chose from. But myself (monster1711) and my bud (cinema2033) think we’ve created a diverse and respectable list. If you feel that we overlooked a certain film or have any suggestions for future top 10’s, please comment below. Without further anticipation, let’s get started. 10. Looper. Easily the best science fiction film of the year. 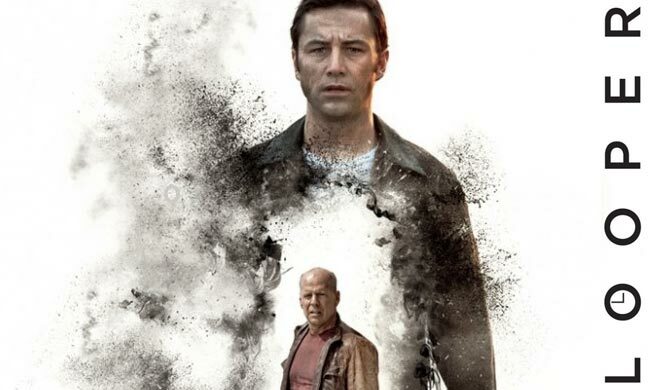 Featuring terrific performances from Joseph Gordon-Levitt and Bruce Willis, Looper is a brain scrambler that will leave you stunned. 9. The Cabin in the Woods. Speaking of brain scramblers. 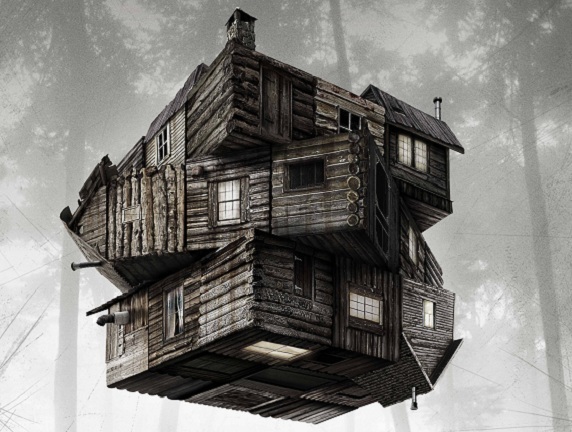 The Cabin in the Woods is definitely the most bizarre film of the year. Mixing the hilarious and terrifying elements of horror and poking fun at them, it is sure to be a cult favourite. 8. 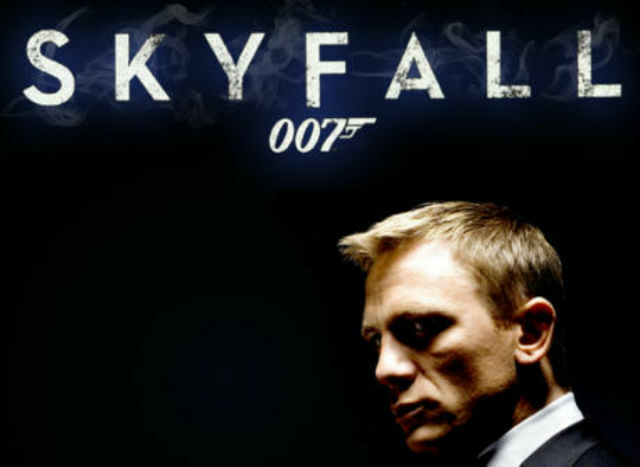 Skyfall. Quite possibly the best Bond film to ever grace the big screen. Skyfall is witty, charming, and one hell of a ride. With towering performances from Daniel Craig and Javier Bardem, Skyfall is not to be missed. 7. Seven Psychopaths. Another entry into Martin McDonagh’s violent comedies. 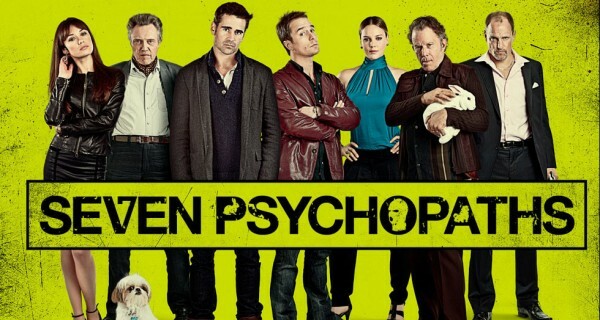 Seven Psychopaths is full of violence, hilarity, and outstanding performances from Sam Rockwell and Christopher Walken. 6. Argo. Winner of the 2012 Oscar for best picture, need we say more? 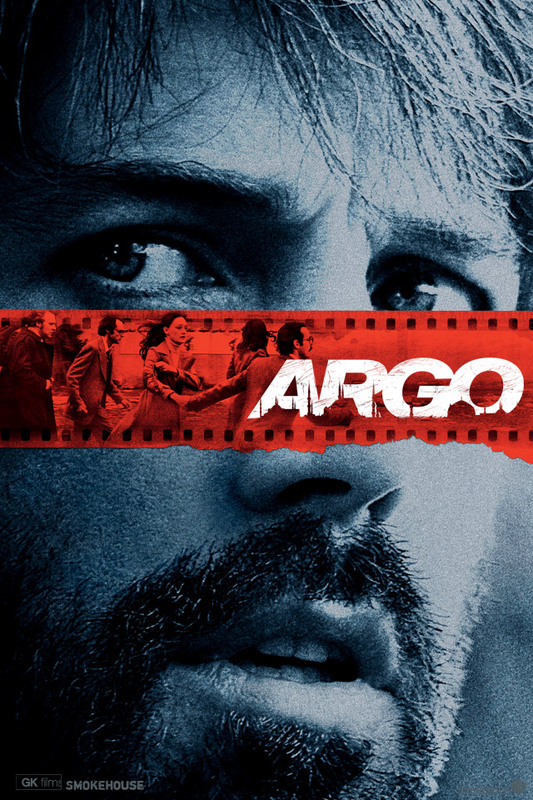 Directed and starring Ben Affleck, Argo is history come alive. 5. Silver Linings Playbook. Thought by many to be the best picture of 2012. 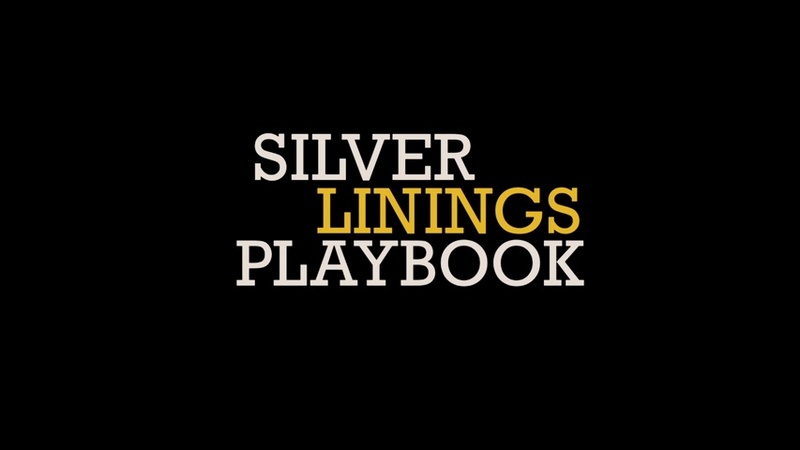 Silver Linings Playbook is another solid outing from David O. Russell and features a return to form for Robert De Niro. Not to mention the emergence of Bradley Cooper and Jennifer Lawrence as real acting heavyweights. 4. On The Road. Possibly the most controversial film on the list, On The Road left audiences divided. 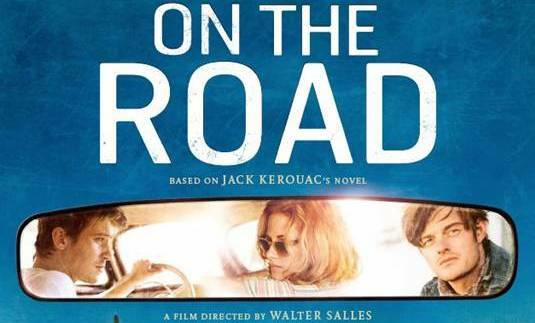 Based on Jack Kerouac’s generation defining novel. On The Road features entrancing performances from Sam Riley, Garrett Hedlund, and especially the lovely Kristen Stewart. 3. 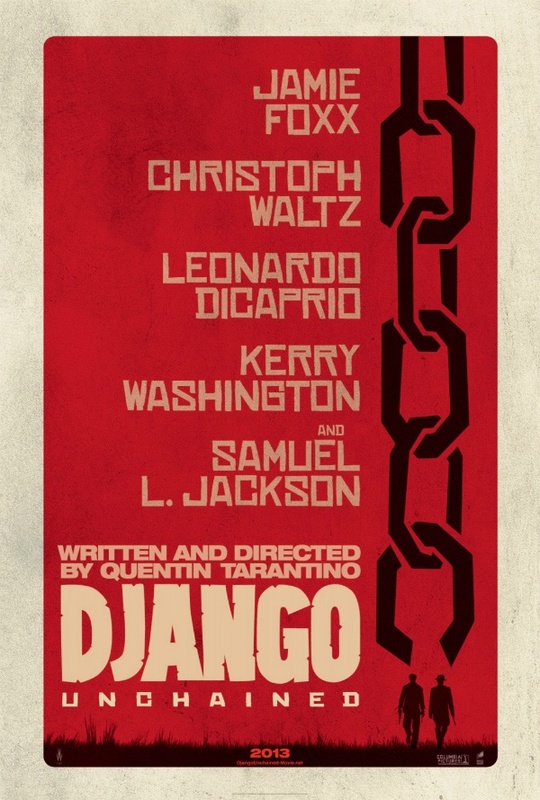 Django Unchained. The second chapter in Tarantino’s yet to be finished history trilogy. Django Unchained landed Christoph Waltz another supporting actor Oscar. Also starring Jamie Foxx, Samuel L. Jackson, and a deliciously evil performance from Leonardo DiCaprio, Django Unchained is violently hilarious. 2. Zero Dark Thirty. Best picture nominee Zero Dark Thirty is brought to you by the creators of The Hurt Locker. There really isn’t anything else that needs to be said. Incredibly tense, monumental performances, and impeccably scripted. 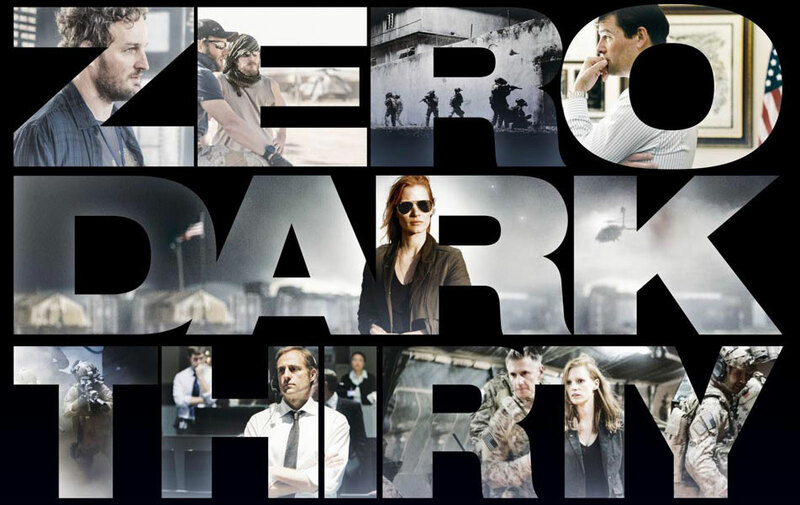 Zero Dark Thirty is an unstoppable force. 1. The Dark Knight Rises. 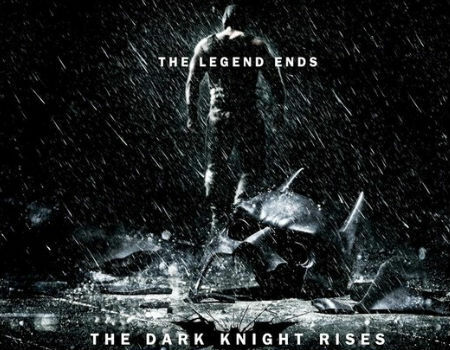 The conclusion to the Dark Knight trilogy, directed by the brilliant Christopher Nolan. With Tom Hardy as Bane, The Dark Knight Rises has the best villain performance of the year. Including an unmatchable cast and an epic finale no one saw coming, The Dark Knight Rises might be the greatest comic book adapted film in the history of cinema. Honourable Mentions. Lincoln, Sightseers, Prometheus, The Avengers, The Hobbit: An Unexpected Journey, End of Watch. A much more passionate labyrinth and overall refined offering than The Hurt Locker. Director Kathryn Bigelow and writer Mark Boal once again delve into the war overseas with Zero Dark Thirty and bring a fact driven theatrical adaptation of the most elaborate manhunt in history to the screen. Using familiar tactics such as tense situations and loveable characters, Boal and Bigelow triumph once again with Zero Dark Thirty. 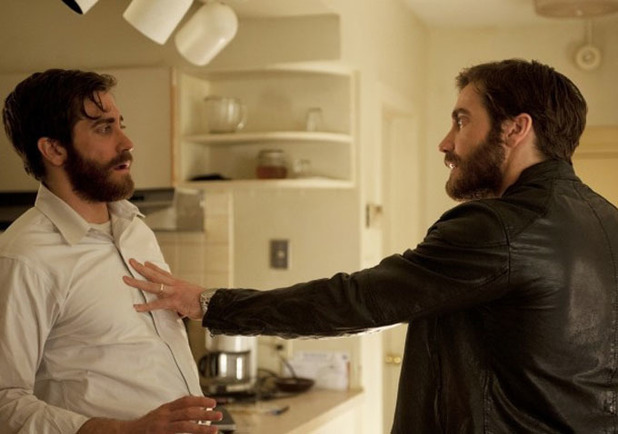 However, setting aside the similarities in the strain and showiness between The Hurt Locker and Zero Dark Thirty. 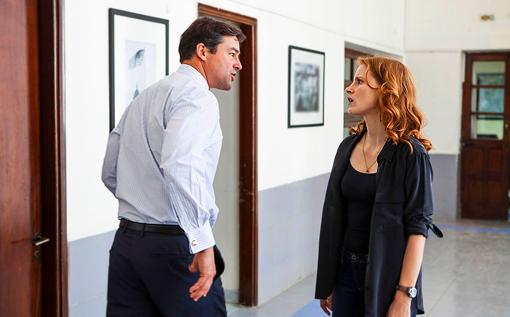 Bigelow and Boal insert new facets like intellect and balance to make Zero Dark Thirty more effective, complete and full of intensity. Featuring Jessica Chastain, Jason Clarke, Mark Strong, Kyle Chandler, Joel Edgerton, and Chris Pratt. Zero Dark Thirty’s all star cast are layered throughout its multiple story lines and given enough purpose to fulfill their potential. A CIA operative named Maya (Chastian) is thrust into the war on terror. One of her first experiences is the extraction of information through any means necessary, understanding that this is the extreme needed at times to gain knowledge. Working with her partner Dan (Clarke), Maya quickly learns and adapts to life overseas. 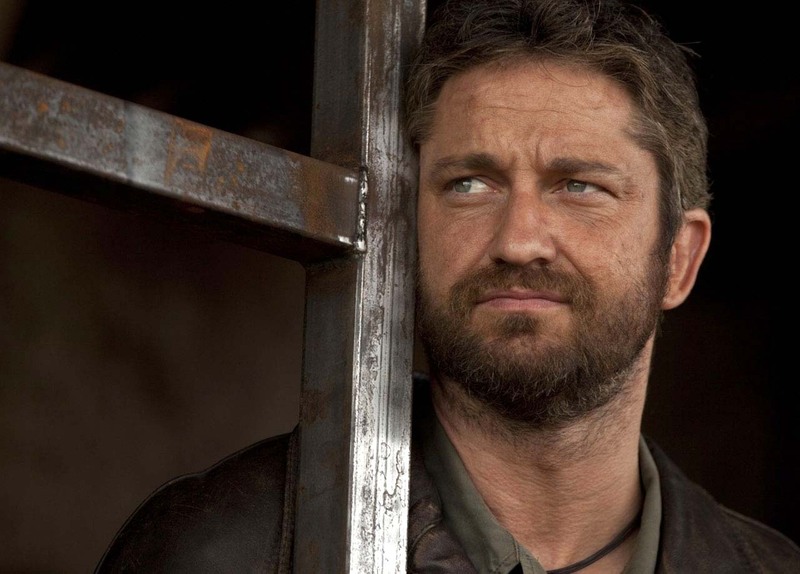 Over seven years, Maya is narrowing down her leads in hopes of finding Al-Qaeda leader Osama Bin Laden. With the help of Joseph (Chandler), George (Strong), and numerous other, in 2011, her tireless efforts are about to pay off. 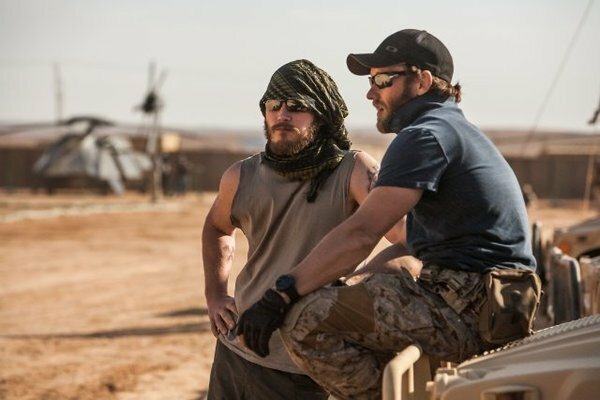 Staying in contact with Patrick (Edgerton), Justin (Pratt), and the Navy team. Maya observes the mission to the suspects home. 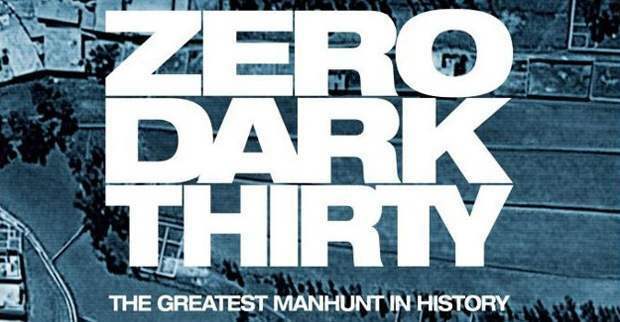 While the depth of the material Zero Dark Thirty is based upon is somewhat of a blur to the public eye. The surface of it has been broadcast from a far on every news channel since 9/11. Being able to produce such a definitive and enjoyable piece of cinema from an overseen and collated event years in the making is something Boal, Bigelow, and crew should be proud of. Jessica Chastain is the only actor to earn an Oscar Nomination for her performance in the film and deservedly so, she is incredibly pragmatic. Her natural essence and unrelenting drive fit perfectly into her role. 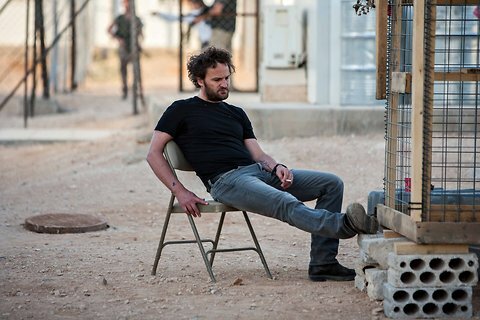 Jason Clarke should have garnered more praise and a nomination in his supporting role to Chastain but was snubbed in my opinion. Clarke is intimidating and ruthless encompassing everything needed to be emotionless and feared. The rest of the supporting cast is equally as impressive, holding nothing back. Zero Dark Thirty is a smart, entertaining nail biter. Zero Dark Thirty: 9 out of 10. A modern poetic thriller centred around a family on the verge of collapsing. Take Shelter combines apocalyptic terror and mental illness to create a constantly shifting cinematic nightmare. 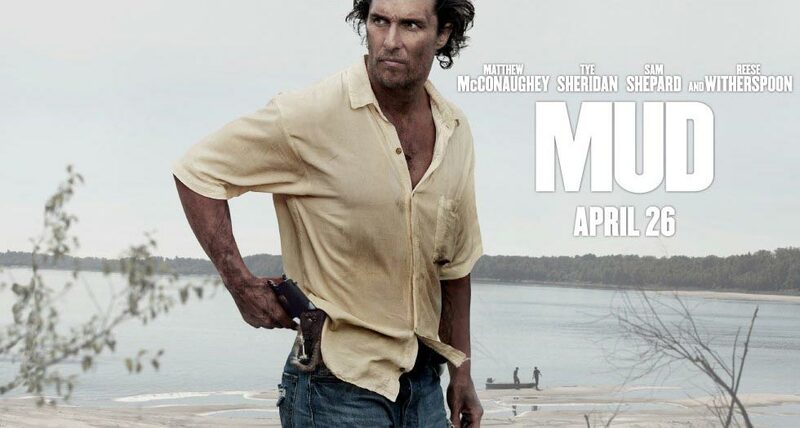 Directed by Jeff Nichols (Shotgun Stories), who’s much anticipated release Mud, starring Matthew McConaughey is set for theatres later this year. Take Shelter’s two bright stars are oscar nominee Michael Shannon (Revolutionary Road) and co-star, also an oscar nominated heavyweight, Jessica Chastain (Tree of Life). With layer upon layer of spirit and dread, Take Shelter succeeds in adapting a believable tale of horror and the effect the absence of mental stability has on family, career, and upon one self. Curtis (Shannon) is a hard working father and husband who starts experiencing hallucinations and vivid nightmares. Choosing not to confide in his wife Samantha (Chastain) what is happening, Curtis’s condition worsens. When Curtis begins to hallucinate an apocalyptic storm in the future, he begins to construct an expensive, time consuming storm shelter. When social and career altering decisions are being made without consulting Samantha, Curtis’s family begins to fall apart. 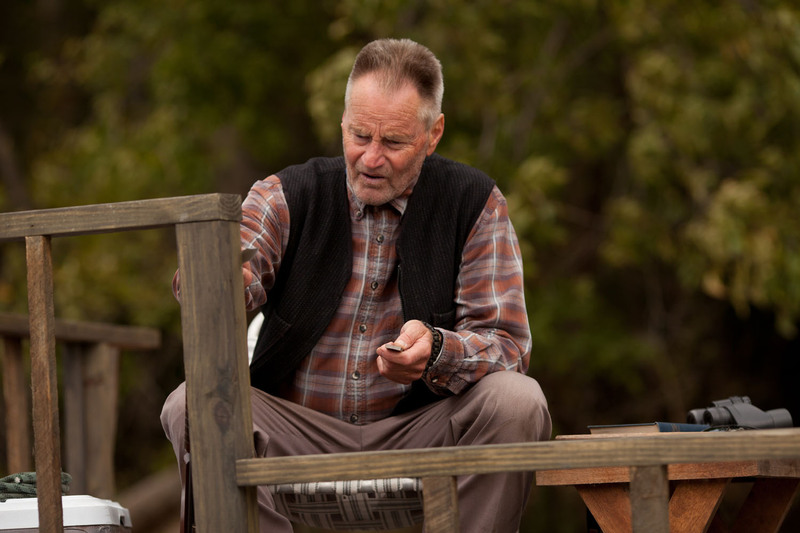 As he tries to deal with his illness and building the shelter, Curtis now must repair his personal relationships. From the moment Take Shelter begins, it sets it’s hooks in you with striking images of storms and cataclysmic occurrences. Beyond any doubt, Take Shelter holds Michael Shannon’s best performance to date and one of the best of 2011. Shannon’s portrayal of a man suffering from anxiety and paranoia is stunningly accurate. Shannon completely invests himself in the character and for two hours, you forget it is just a film. Chastain is perfect as always and once again makes her performance look effortless. As far as direction, Nichols uses the power of Shannon’s acting to drive the film in majority but adds the beauty and scariness of nature to compliment the spectrum in Shannon’s character. 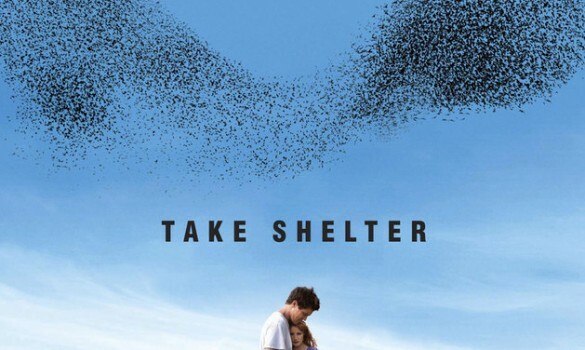 Take Shelter is literal, exact, ambient, and resplendent, the summit of what cinema should be. Take Shelter: 9 out of 10.